If your loved one resides in an assisted living or skilled nursing facility, you are entrusting others to provide the best care possible for your loved one. Staff members in these facilities are experts in long-term care, and Hospice of the Red River Valley staff members are experts in pain and symptom management for end-of-life care. 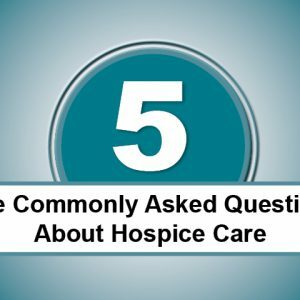 We often hear questions about hospice’s role in an assisted living or skilled nursing facility, like those below. Through a partnership designed to promote compassionate care and quality of life, your loved one can benefit from both services. Why is hospice provided in an assisted living or skilled nursing facility? Hospice is both a philosophy of care and a specialized type of health care. Hospice care is provided wherever an individual resides, including private houses, apartments, assisted living facilities or nursing homes. Isn’t it a duplication of services to provide hospice care to assisted living or skilled nursing residents? No, because hospice delivers a set of specific services at the end of life to residents and their families. End-of-life care is very different from general medical services and quite specialized. Assisted living and skilled nursing facilities provide residential, custodial services just as a family would provide in a home setting, while hospice tends to the end-of-life needs of the resident. The roles of hospice and the facility are complementary yet distinct. Is hospice paid twice for the care they provide in a facility? No. Most hospice patients who reside in an assisted living or skilled nursing facility have third-party insurance (Medicaid or private insurance) or they pay out of pocket for their custodial care in the facility. Hospice is paid specifically to provide end-of-life care, which includes medical care, personal care, emotional support, spiritual care, volunteer companionship and grief support. Additionally, hospice provides medical equipment and medications for the terminal disease and related conditions. Why can’t the assisted living or skilled nursing facility provide end-of-life services? You or your loved one will receive optimal care with a partnership approach; by working together, we enhance the facility’s excellent services. Hospice of the Red River Valley is the expert in end-of-life pain and symptom management. Additionally, we provide grief support, on-going consultation and access to our on-call hospice staff. 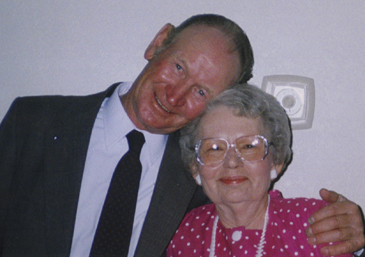 Families appreciate that Hospice offers an extra layer of care for their loved one. Our facility partners appreciate having additional clinical staff available to residents who may need extra care. 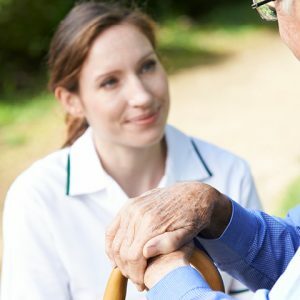 While many assisted living and skilled nursing facilities often provide rehabilitation services, dementia and long-term care, our staff are experts in comfort care. Hospice brings additional expertise to specifically enhance quality of life and comfort. This approach complements and layers seamlessly with the care provided in a facility. Regular visits by a Hospice of the Red River Valley registered nurse for expert management of pain and other symptoms, such as problems breathing or swallowing. Consultations by a specialized hospice physician are provided, as needed. Regular visits by a Hospice of the Red River Valley certified nursing assistant for personal hygiene, such as bathing, grooming and eating, in addition to the care provided by the facility staff. Emotional and spiritual support by a Hospice of the Red River Valley licensed social worker and chaplain for both the resident and their family. Thirteen months of bereavement support from Hospice of the Red River Valley for family members and friends following the death of their loved one. Education that focuses on the patient’s condition, symptoms, medications and how to best care for a patient’s medical needs during this phase of the illness. Supplies and medications for the terminal illness and related conditions. Coordination of the resident’s care and medications across all of the medical providers, including the resident’s own doctors, hospice doctors, hospice nurses, hospice aides and facility staff. If you or your loved one resides in an assisted living or skilled nursing facility, you have a choice in hospice providers. Learn more about hospice care, the benefits and why we believe you should choose Hospice of the Red River Valley. You can also ask a staff member at your loved one’s facility to contact us to be involved in your care. In the decades since our organization was formed, we have touched the lives of countless families. Read what they have to say about Hospice of the Red River Valley and contact us for more information about how we can help you.